Tim Walz got a couple hours sleep before heading out the day after his upset win. He stopped first at Mankato West High School where he teaches. Then it was on to his campaign headquarters to make and take calls of congratulations. "Hi, this is Tim," said Walz. He was on a call with someone he'll meet soon in Washington, a newly elected Democratic congressman from Indiana. "Hey Baron, how are you?" said Walz. "Congratulations to you. Oh, I know who you are very well." Like Walz, Baron Hill beat an incumbent Republican by four points. The Walz victory was by a wider margin - 6 percentage points. He took 53% of the vote against incumbent Gil Gutknecht. Walz, a high school geography teacher and sometimes coach says education is one of the major starting points of his victory. Speaking at his campaign headquarters in downtown Mankato, Walz was surrounded by former students. His communications, finance and political directors all went to Mankato West High School. Many other students from there helped out. But it's not just Mankato West. He says he also drew on other high school and college students from around the district. "They walked in parades and they just spontaneously would think up this chant and they would all be chanting, 'Tim Walz, an independent leader for southern Minnesota,'" says Walz. As Walz claimed victory on election night the students were up front, crowding the stage as their candidate spoke. He says it was typical of the spark they provided throughout the campaign. "The thing about youth is that eternal optimism, it was there you know," says Walz. "I brought in the people who were pragmatic and we built the structure of the campaign. But that optimism of youth was really something that would just power you on when it seemed like it was getting tough." The students were interested in a wide range of issues; the Iraq War, global warming, economic and health questions. Walz says those are some of the issues he'll address when he gets to Washington. Appearing on MPR's Midmorning show, Walz says he heard a very specific message from voters on the Iraq War. "This is group of people down here that have a large number of soldiers deployed there and they're actively involved in it," says Walz. "They're proud of their service, they believe we're doing good which our soldiers are but they want to see a plan. So I think they want to see something done and I think that will include significant troop withdrawls in the near future. But they're not demanding that as a prerequisite." 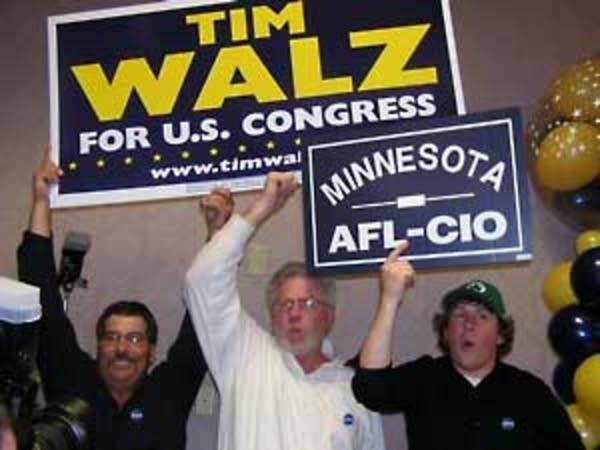 The war and the military has been a major theme in the Walz campaign. 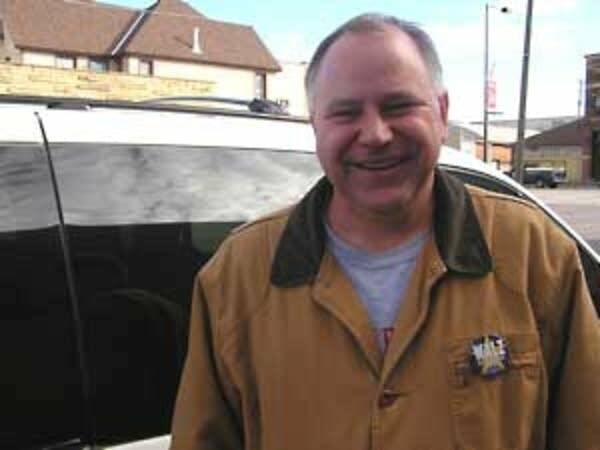 The former Army National Guard sergeant major served overseas in support of operation Enduring Freedom in Afghanistan. 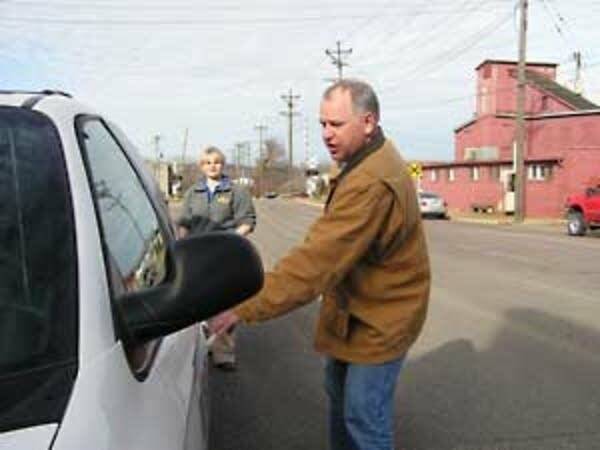 Walz' military service attracted early interest to his campaign. Walz says the attention fed on a belief by some that few Democrats have military experience. "Military issues play a lot, especially for Democrats," says Walz. "I know there's a lot of Democrats in the military, there always have been. That's a myth but it was one that people had bought into. So it was kind of a novelty. So I didn't bite that hand that fed me on that because I knew I got a lot of press out of that. But I was always very, very careful not to exploit that." Walz says he'll spend a few days talking with and thanking supporters. He plans to make a swing around the district to meet with the public. One group he's especially grateful to are labor unions. Their members did extensive work turning out DFL voters. He'll take their issues and the concerns of all his supporters to Washington when he's sworn in next January.